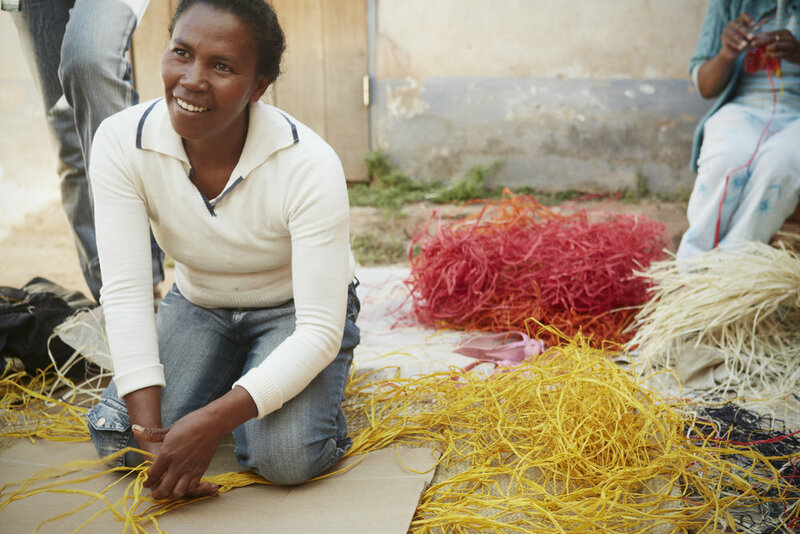 This month, AOW is delighted to interview Lauren Brandstetter, the founder of Mar Y Sol, a company that works with artisan communities in Madagascar. Mar Y Sol’s focus and business ethos have made them a company that AOW admires—they have created an ethical brand that truly walks the walk. Their competitive edge is design that stays fresh each season, keeping them ahead of the natural fiber trend craze. To start, Laurel tells us a bit about herself and how she first dove into this field and how she stays ahead of her competition while staying true to her brand and mission. At the time I started Mar Y Sol, I was a disillusioned City Planner and I wanted to have more impact on global poverty reduction. I had a relative doing a non-profit project in Madagascar, and I had joined him on a trip there in 1998. He was getting tired of the tough travel and slow progress and basically handed the project over to me. I quit my job. The NGO had a very tiny product sales component to raise funds for projects and so I went from selling handmade paper note cards to little fair trade gift shops to importing basket samples which I sold at street fairs, apartment parties, and an online store. I got a small loan from a woman entrepreneur, which funded my first trade show in 2005. When you first got into this field, did you begin with the same vision as you hold today? If not, how did it shift? What keeps you streamlined and focused? Do you think that by maintaining a strong focus, Mar Y Sol has been able to stay ahead? When I started off I thought I was going to save the world! I actually had no clue what I was getting myself into. I just wanted to do international community development work. The artisans and their beautiful wares are what led me down this road. I guess my vision is still pretty much the same, but I'm much more realistic about my capacity for saving the world. I have certainly been tempted to veer off and have done it a time or two. We created a home accessories line that was absolutely gorgeous. But it was a really specialized product so sales weren't booming out of the gate and, hampered by a shoestring budget, it was expensive for my small business and I didn't have the connections or capacity to see it through for several seasons. So as beautiful as it was, it was short lived. And in the early days I also designed and imported kiondo totes from Kenya and worked on building water wells there. On the advice of an insightful artisan at one of our annual meetings in Madagascar, I decided to really focus on sales and design and the things that I could do best from my position in the US, having direct access to the market unlike my artisan partners. I've always highly valued the products we sell and the craftsmanship and talent that goes into them, so that helps me stay focused. Unless you've got crazy resources and can have your hands in a million things, it does seem wise to stay focused. 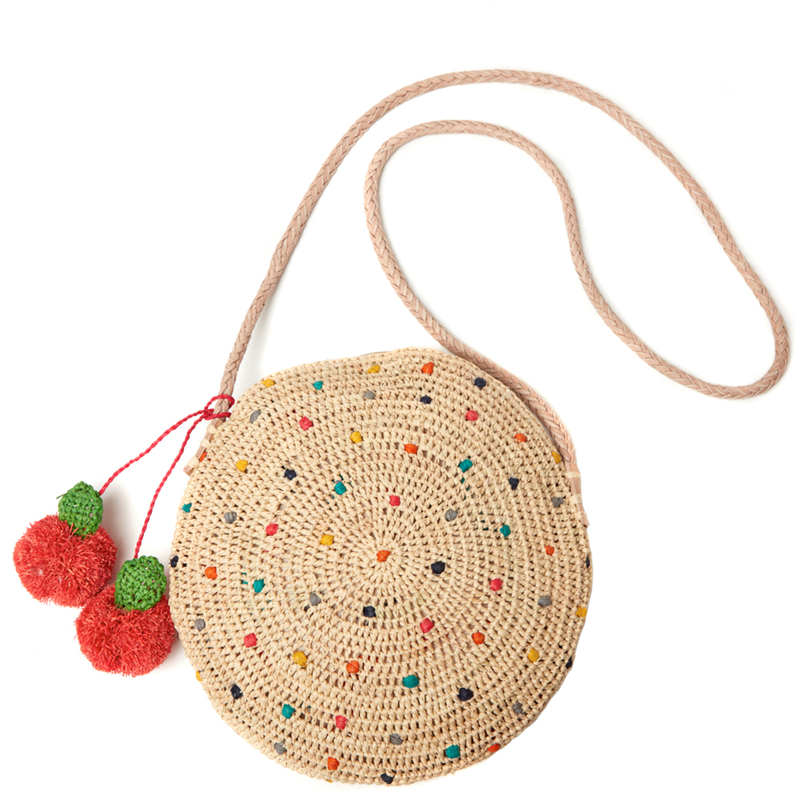 As you know, the craze for natural fibers is in full swing. How have you navigated this trend and stayed ahead of your competition, and where do you think this trend is moving? As much as we're tempted by trends, it has worked best for us to stay true to the Mar Y Sol vibe. It's especially tough since we see copies of what we do all the time, but that really fuels us to keep designing new things. 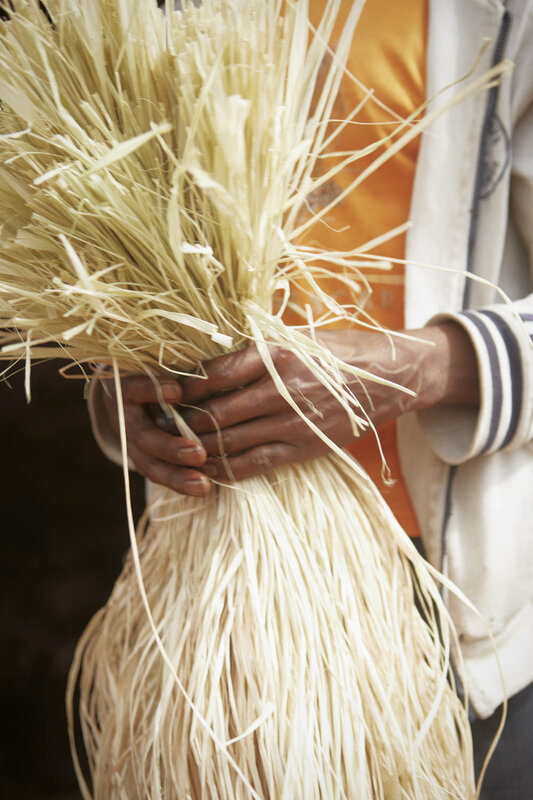 I'm glad that hard fibers like grasses and palm fibers are so popular right now since a lot of them are sustainably grown and harvested and since so much of it is produced artisanally. Sometimes I worry what will happen when the craze simmers down and all of the artisans that have seen employment opportunities from new companies who've decided to get into the game lose their jobs. I feel very thankful that we've continued growing since our start and have been able to provide stable income for many artisans. What are some of the most surprising investments that you have made in your business, leading to the greatest results? Though I know there's value in it, I admit that I'm a bit shy (or maybe just old!) when it comes to new trends like collaborations with Instagrammers and such. One of the most impactful things I've ever done was on the advice of a magazine photo editor friend. I sat in a Barnes and Noble for hours handwriting all of the fashion and accessories editor names and addresses from the mastheads of every magazine. Then I created a very simple beautiful postcard with clean photos of our products. That led to a bag feature in The New York Times Style section and a piece in Lucky Magazine. At the time those were both a big deal and meant lots of direct to consumer orders! I could barely handle them. The other best investment was something I would maybe not recommend: A business guy I met suggested I apply for as many credit cards as I could when I first started. I racked them all up and basically that's how I funded my business for the first several years. Those are obviously dated ideas! I'm still trying to figure out how to make current relevant investments. I think investments in relationships, especially with artisans and buyers, are the most lasting and valuable. We are all trying to navigate the tumultuous state of the retail industry. With that in mind, where are you focusing your efforts and marketing dollars? Is wholesale still the majority of your business or are you pushing the direct to consumer model? This one is so tricky! The tradeshows are such a beast! They're incredibly expensive and exhausting but that in-person connection is so valuable. Even though you may only show your collection to a buyer and chat for a few minutes, those relationships and face-to-face connections are so important. We are doing a lot of online wholesale these days, which is great. Things seem to be moving in that direction. And our online store is always a decent piece of our business and the activity on it always seems to reflect the changing tides of retail. What is one company that inspires/motivates you these days? Eileen Fisher is a model company. Eileen Fisher herself seems personally invested in the welfare of the makers and employees the company works with. 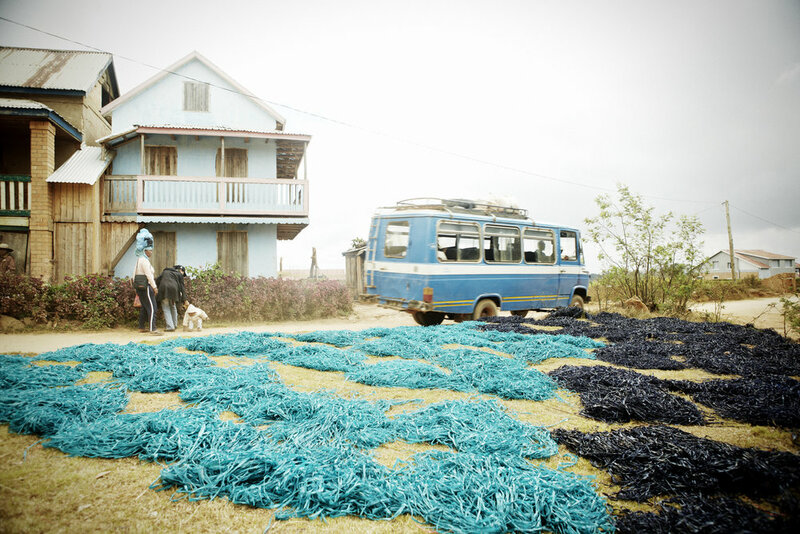 And the Kering brand family has a great commitment to sustainable sourcing. Their director of sustainable development is a friend and she’s dedicated her life's work to conservation and other wonderful things. AOW is inspiring since you have such a current and relevant approach and that’s exciting to see! What do you wish you had known when you first started? Do you have any tips for others who are new to this field? I want to say that I wish I would have known how hard it was going to be, but I doubt I would have done it if I had. I definitely think passion and an entrepreneurial spirit are key. Adaptation and resilience are important. And I think follow up and follow through are essential. 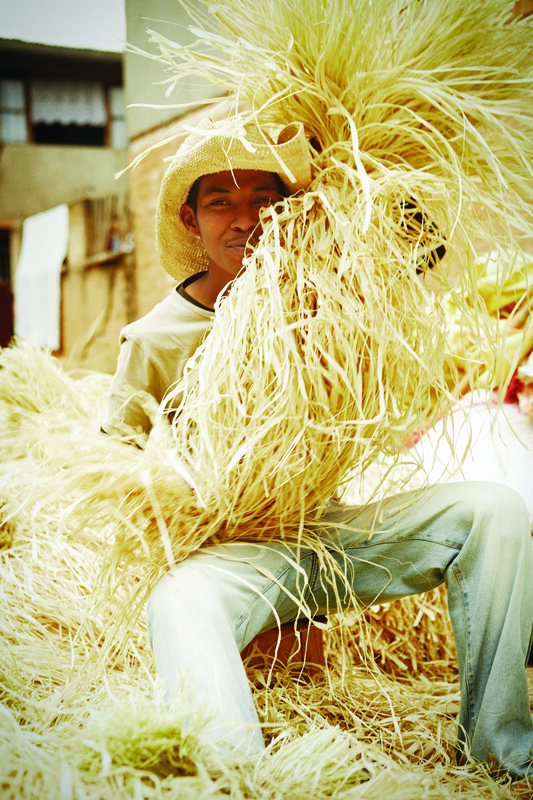 Where do you think the state of artisan made is moving? I hope that it is moving to a place where artisans will eventually have direct access to consumers and that folks like me will be out of business. Well not that exactly, but I hope we can become design or cultural ambassadors or consultants to artisans. Level the playing field!